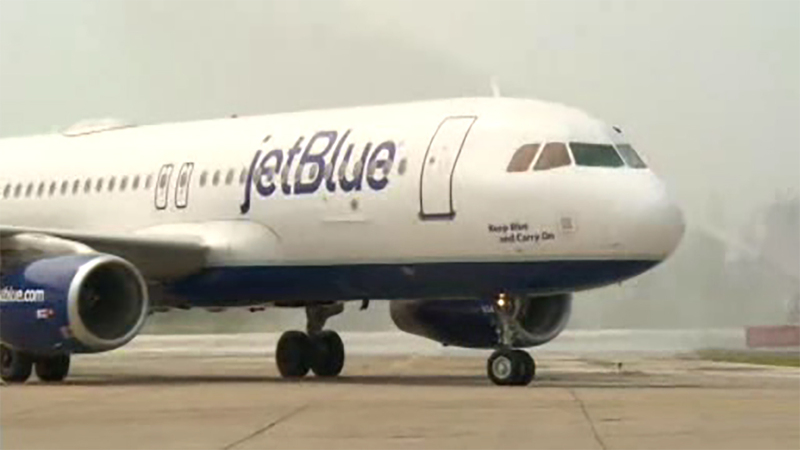 CHARLESTON, South Carolina (WABC) -- A JetBlue Airways flight on Wednesday afternoon was anything but normal after two crew members became sick aboard the aircraft. The odor of nail polish remover is being blamed for sickening the two during a flight from Boston to Charleston. The crew members reported smelling an unidentified odor in the cabin during the slightly over two-hour flight. First responders met the plane when it landed and took them to a local hospital, where they are now recovering.